Even though smartphone cameras, action cameras, and other compact system cameras have indeed reached a point where they can produce high definition, and in some cases, even ultra high-definition videos, yet they still can not come even close to professional video cameras in terms of sensor size and other specifications. When we say video cameras, that includes everything from enthusiast camcorders to large video cameras such as those used for commercial filming. We have even thrown in one mirrorless camera because it focuses on video production. This review article is meant really for anyone who is interested in acquiring a camera with the main purpose being video recording. You may be a parent who just wants a good video camera to film the kids playing in the backyard, so you do not want to spend a fortune on a camera which would be unnecessarily complex to operate for such a purpose. Do not worry, we have prepared some high-quality, but affordable camcorders which were designed with ease of use in mind. On the other hand, you could be a professional filmmaker or a freelancer hired to shoot some broadcast-class videos and are in need of a pro-grade camera which will produce crisp videos even in the most difficult conditions. There are a lot of professional cameras to choose from, but we have handpicked several of them which are the best of the best considering performance, quality, and value. The Blackmagic 4K Production Camera truly shows off its magic in several aspects. First off, this model has a compact design, constructed of magnesium alloy, which absolutely feels like premium gear while remaining quite light. Even though this model offers production level performance and specifications, compared to its rivals in the same class it features a really simple design and controls. Video cameras in this range are usually very large, heavy and can be extremely complex to use. This is not the case with Blackmagic and we like it. 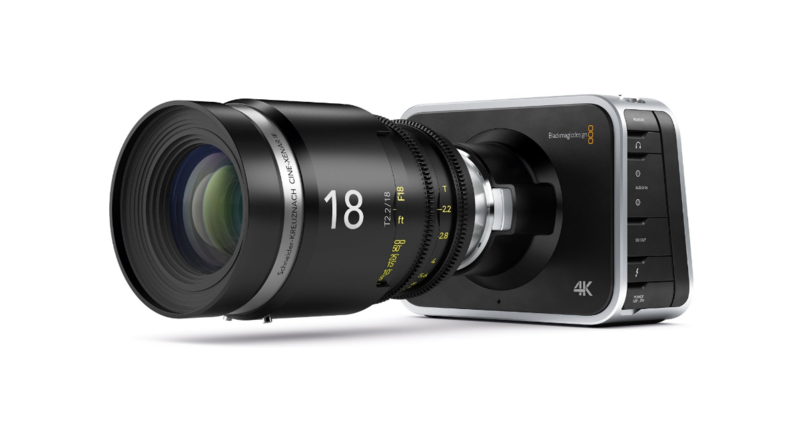 The Blackmagic 4K Production Camera records Ultra HD 4K video using the Super 35mm sensor with global shutter, providing superb image quality. You will also get 12 stops of dynamic range and professional video formats. What sets this video camera apart from the majority of others is the interchangeable lens capability. It is compatible with almost all existing Canon EF lens, giving it a serious edge when it comes to flexibility. Another feature that show this camera means serious business, is the lossless CinemaDWG Raw and Apple ProRes HQ recording method. Whether you want to record a film, broadcast grade documentary footage or any kind of commercial project, this is the camera that will do the job well. The only possible area where there may be an issue is operating in really dark conditions, where the low light performance could be better. It performs best in ideal, studio conditions. Overall, it is an excellent high end video camera built with easy of use in mind. Sony has done an excellent job with the last year's approach of bringing 4K high-end recording capabilities closer to the mainstream consumer range. We are talking about the previously mentioned AX100 4K shooter. 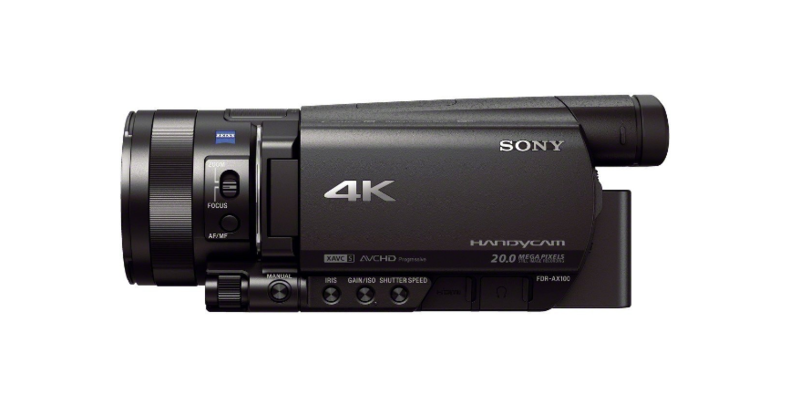 This time Sony has gone even further, with the FDR AX33, by bringing the price into a more affordable range while still delivering a 4K-capable quality camcorder. While the AX33 does have some shortcomings compared to its big brother, the AX100. One of those is the smaller sensor, it should still more than enough to satisfy average consumers. The body is designed similarly to the AX100, featuring sleek, modern-looking tube-shaped plastic body. Even though it is mostly plastic, it feels sturdy and durable. The body features physical buttons for basic controls while the more detailed settings are accessed by a 3-inch LCD touchscreen. There is also an EVF (Electronic View Finder) which does a fine job of mimicking optical viewfinder performance. The image sensor in the AX33 is a 1 /2.3 inch CMOS, which is not as powerful as the one used in the AX100, but still capable enough to deliver excellent stills and videos, both at Full HD and UHD 4K resolutions. On the other hand, the image processor used is Bionz X, the same one used in Sony's professional grade cameras. This makes it possible to record Full HD 1080p videos at a smooth frame rate of 60fps. 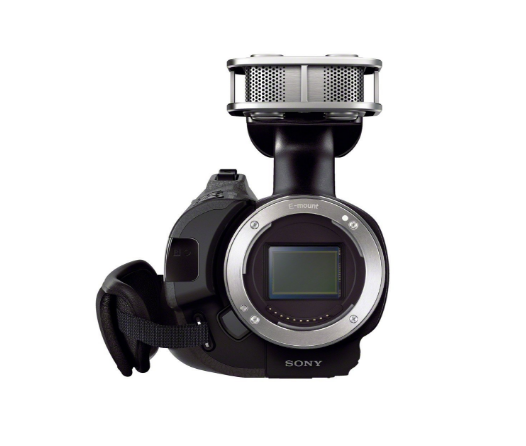 The Sony FDR AX33 features the best in class BOSS (Balanced Optical Steady Shot) image stabilization, beating the IS in AX100 by a large margin. Sony was able to the integrate BOSS IS due, in part, to the extra space made available by the use of a smaller sensor. Rest assured, you will be able to capture crystal clear stills as well as very steady videos. You will be able to choose between three different codecs for video compression. There is the standard MP4, which is great for internet sharing, and there is also the AVCHD and XAVC S. It is even possible to shoot in dual mode using both XAVC S and MP4. Other notable features include excellent connectivity options, including Wi-Fi and NFC. You will be able to use those to connect your smartphone with the camera for remote control and live streaming via Ustream service. 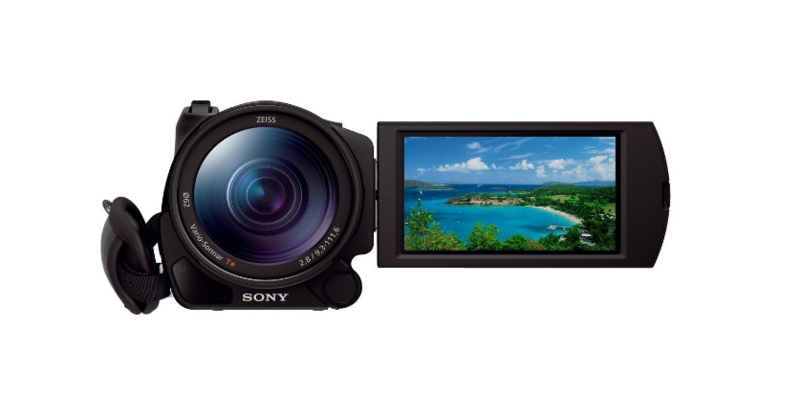 Sony's FDR AX33 is an excellent consumer video camera for the money. If you are looking for a simple camera that can shoot 4K video and are okay with consumer level image quality (think in terms of quality as seen on high end smartphones and point-and-shot cameras), you will not regret the purchase. 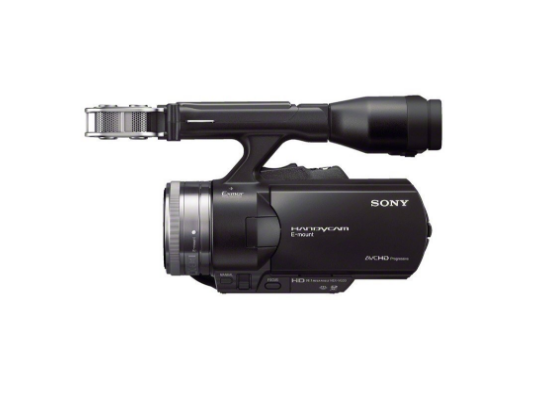 If however you want something more professional, consider the Sony FDR AX100, but be ready to spend much more. 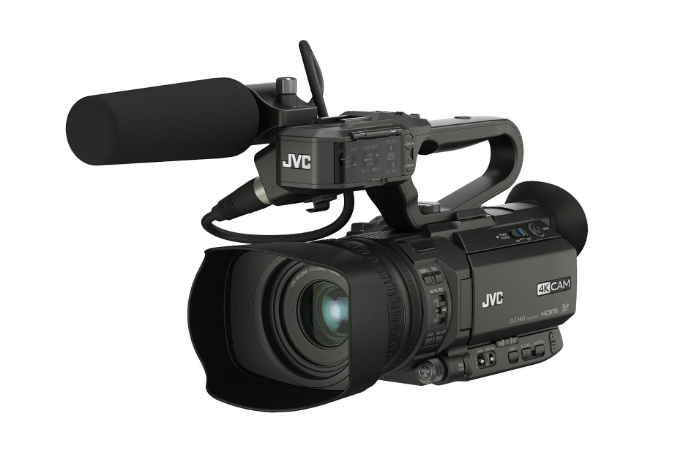 The GY-HM200 from JVC is a professional video camera that is also lightweight and handheld. It features a detachable handle for further weight and size stripping if needed. Other than that, it is on par most other professional grade video cameras that are normally massive and complex in design. You will find all the manual controls that you would expect to find on a camera of this class; zoom rocker, white balance, iris controller, manual and auto focus modes, ND filter, auto and manual exposure, as well as gain and XLR audio inputs. It features 12x optical zoom, or a 29 – 355mm zoom lens, 35mm equivalent. Focus and sharpness remain exact throughout the zoom range. This camera also has the ability of 24x dynamic zoom while recording. The image sensor is a 1 /2.3-inch back-side illuminated (BSI) that is able to record Ultra HD 4K video of excellent quality. It can also shoot stills with exceptional quality for a video-oriented camera. Image quality, overall, is very impressive, even in low light, with rich colors and a wide dynamic range. If paired with the optional Wi-Fi or 4G it can act as a live streaming device, streaming to services like Ustream and Wowza. At the same time, it saves the footage locally on a SDHC or SDXC card. Battery life lasts for about three hours of continuous recording, which is not bad at all. This is achieved by a 4900 mAh battery. 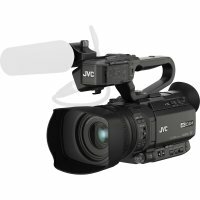 The JVC GY-HM200 is a classic professional video camera when it comes to specifications and performance, with excellent image quality. As a plus, it features somewhat of a compact design when compared to traditional high end video cameras, making it perfect for handheld usage. Considering what it delivers, the price is more than fair. Those people who are looking for a professional full-fledged video camera to cover all any kind of serious video production work and aren’t interested in incorporating 4K footage into their workflow will certainly find the Canon EOS C100 Mark II as an interesting proposition. This is one of those cameras that will turn any of your demanding clients into satisfied customers (providing you are capable of handling a camera like this one, of course) and will allow you to make a name for yourself or your company in the realm of professional video production. While it’s true that many DSLRs and mirrorless cameras have enough going for them to allow them to produce top quality videos, they are still lacking in terms of battery life, handling, available inputs, ruggedness and more. 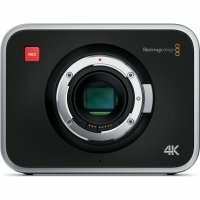 You will need to pay a premium price to own a camera like the C100 Mark II, but you will also gain a large number of benefits that still separate dedicated video cameras from more mainstream products that still aren’t capable enough for doing the most important types of work and that is the main reason why anyone would want to purchase a product like this one in the first place. 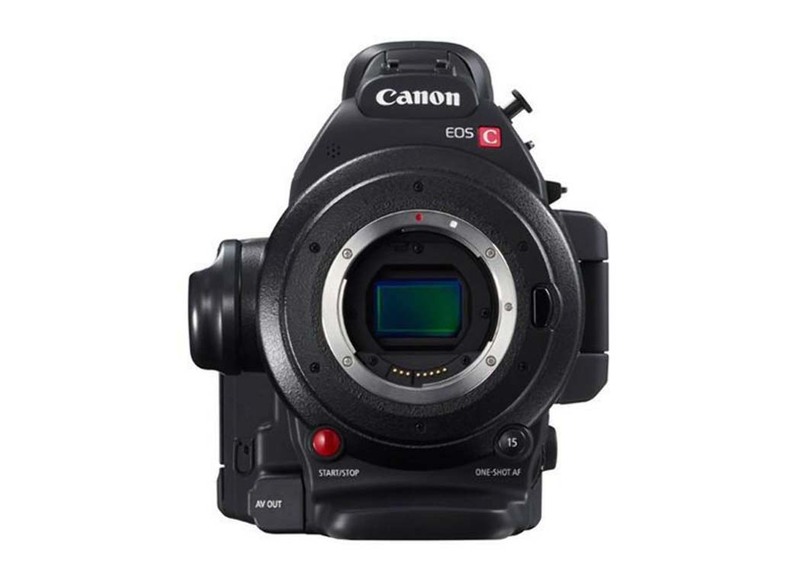 The Canon C100 Mark II uses a Super 35mm 8.3 CMOS sensor that is capable of working both with the EF and the EF-S series of lenses. On top of great image quality, it can produce, the standard EF mount on top of it will allow you to mount a wide array of different first and third-party lenses as well as a lot of legacy manual glass (if you’re not in need of AF for your type of work). The said sensor also supports ISO values ranging from 320 to 102400, a maximum shutter speed of 1/2000 sec and has a built-in ND filter can reduce the amount of incoming light by up to 6 stops. A capable Digic DV 4 processor is also included to make sure that the performance and image processing algorithms are up to snuff and on the satisfying level. When it comes to the camera body, its quality and features, the C100 Mark II really manages to show what its made of. It features the familiar shape and handling of a traditional video camera, two XLR inputs, the 3.5mm microphone and headphone jacks, a type A HDMI port, a rotating 3.5-inch OLED display (922,000 dots) and a tilting color EVF (1,560,000 dots), Wi-Fi (the 5 GHz variety that can be used for quick FTP video transfer), a built-in mono microphone, dual SD card slots, an 8.4V DC power terminal and a large collection of different buttons of which a total of 17 can be customized to your liking. There’s also a plethora of different add-ons that can be added to the camera body itself, making this camera one of the flexible ones featured in this article. Now, besides the powerful functions, the C100 Mark II manages to provide both inside and outside of its body, it also offers an impressive number of them when it comes to the video recording itself. 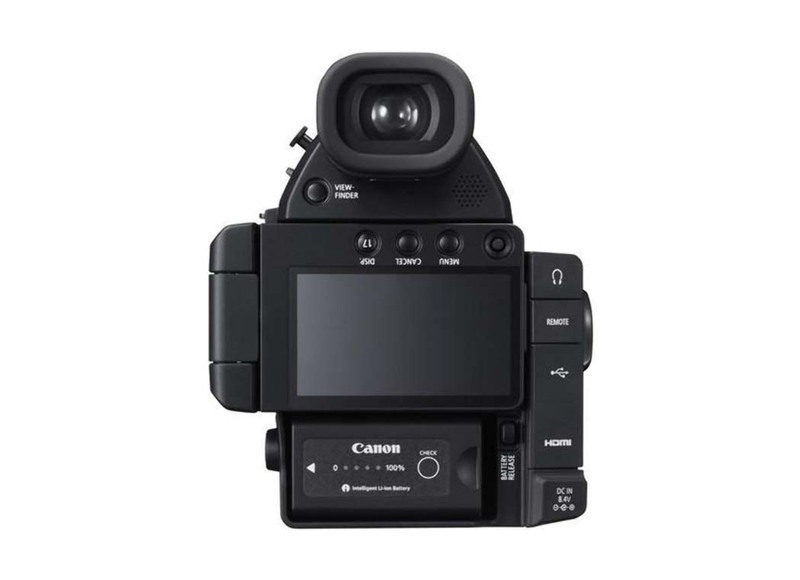 It is capable of recording 1080p videos at the fastest frame rate of 60 fps but will also give you the ability to either use the AVCHD or the MP4 codecs and to get very fast focusing performance due to the inclusion of Canon’s familiar Dual Pixel AF technology. While it does feature Focus peaking (meaning that manual focusing shouldn’t be of an issue) it is great to see that the C100 Mark II is also very capable when it comes to providing accurate focusing performance by itself. 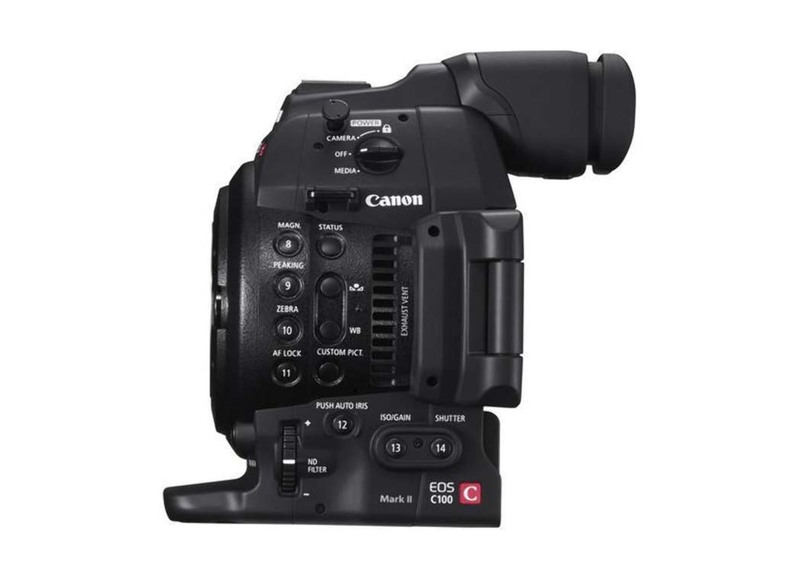 Some of the additional features that can be found on this camera but will also be of help to many professionals are the Canon Log and Wide DR Gamma profiles, full manual control of exposure, three Timecode modes, a waveform monitor, customizable Picture Profiles (you’ll be able to save up to 20 of them), SMPTE, EBU and ARIB selectable color bars and so on. Simply put, if you aren’t interested in 4K recording and you want to own a camera that will give you as much flexibility and functionality as possible (without costing an unreasonable amount of money), then the Canon EOS C100 Mark II is a product you should seriously consider as your next purchase. 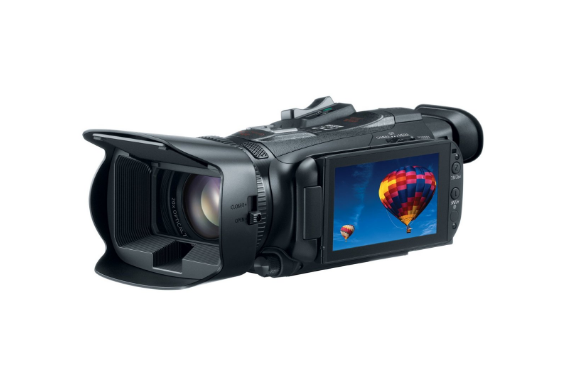 The Canon Vixia HF G30 is a Full HD 1080p-capable high end consumer video camera, which comes at a high price. However, what it delivers is equally substantial, making this one deserving of its cost. 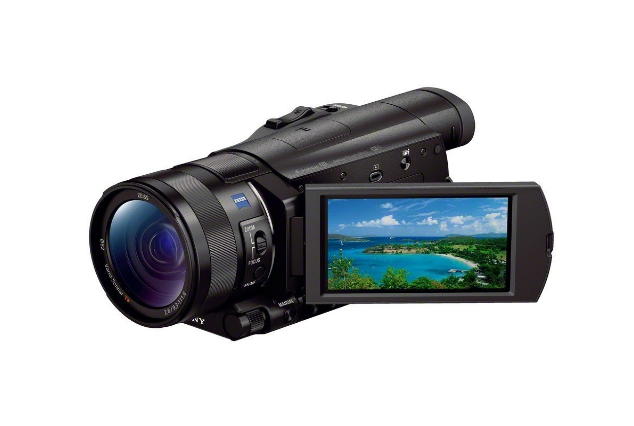 It packs a range of standard features which you would expect from mid to high end camcorder, as well as additional features which are geared more toward professional use, such as extensive manual controls. 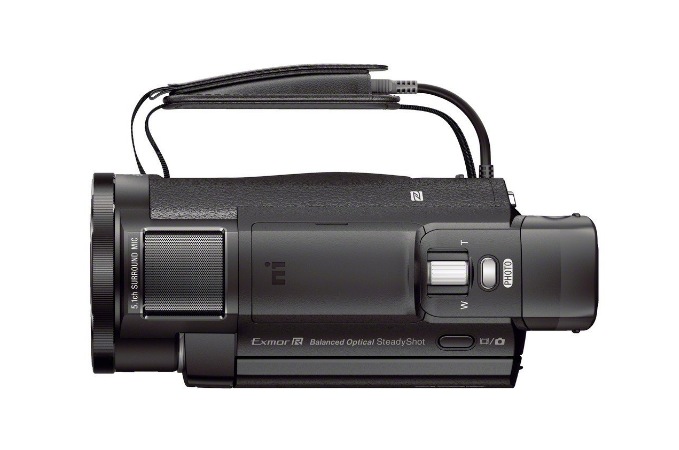 Even though it is quite bulky and heavy for a camcorder, it is still comfortable to use due to its ergonomic design. Not only does it have a sleek appearance, but it also feels like a premium product. The main selling points are also what gives the VIXIA HF G30 a strong arm over the competition. These include the ability to record high quality Full HD 1080p video at up to 60 frames per second (fps) in AVCHD or MPEG-4 format, as well as excellent optical image stabilization, which keeps your shots steady, even when fully zoomed in. Speaking of zoom, this model is equipped with 20x optical zoom or 576mm of focal length. The autofocus does an excellent job even when the camera is fully zoomed in. It is also able to achieve focus, even when the subject is at a very close range. One other thing that we liked about the lens is the wide field of view, despite the high level of zoom, ranging from 26.8mm up tp 576mm (35mm equivalent). This covers most, if not all, possible shooting needs, enabling you to capture breathtaking landscape images as well as extreme macro shots, thanks to the very minimal focus distance, all the way up to extreme close ups of distant subjects. 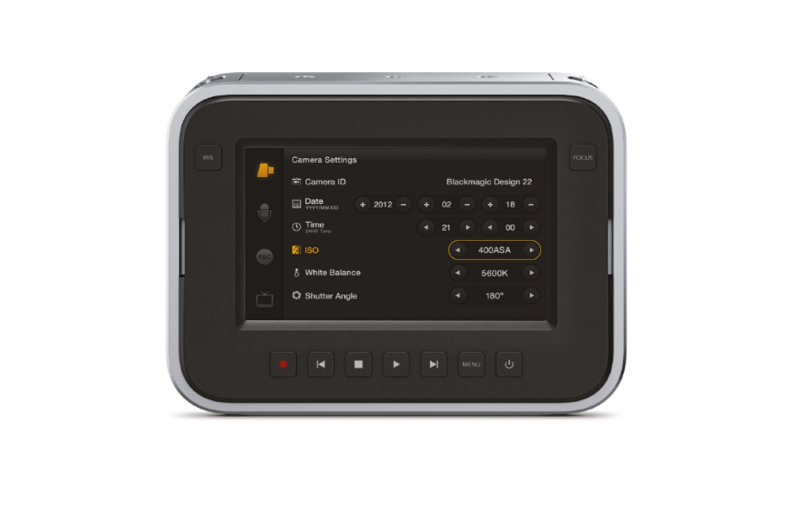 Canon's VIXIA HF G30 also features a full connectivity package, including ports for Micro-USB, mini-HDMI as well as connections via NFC and Wi-Fi. You can of course use the Wi-Fi to connect the camera to your smartphone, and use the official app to control recordings remotely along with other abilities such as setting adjustments, transferring photos and videos, and social media. The VIXIA HF G30 is not intended for beginners, but it is a good choice for amateurs who care about getting a reliable camera with high image quality for their home videos or other projects. Due to extensive manual controls and other additional features which expected of high end gear, this model works great for professionals who's work doesn't require them to shoot 4K videos. 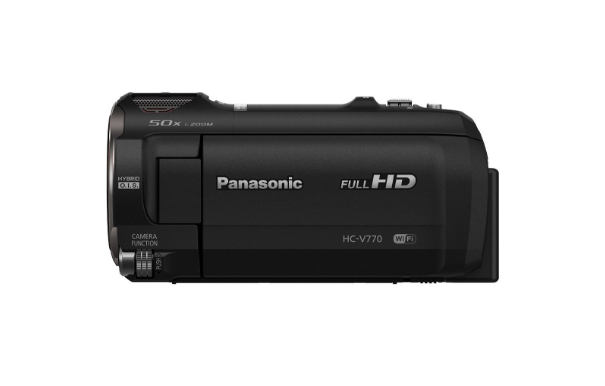 Panasonic's HC-V770 is a top quality HD-only camcorder. In other words, it isn't capable of 4K video recording. Still, most people do not really need 4K resolution nor have displays even capable of rendering UHD resolution. In any case, video size is not everything and there are many other factors which affect image quality to an ever greater extent than the resolution itself. HC-V770's body is mostly plastic, but it does not feel like cheap plastic, in fact it feels rather sturdy and resilient. Exactly what you would expect from a mid to high end camera. It is also designed with simplicity in mind, so there are not too many physical buttons. Instead, there is a 3-inch touchscreen which features a straightforward interface for operation and setting adjustments. The sensor behind the lens is a 1 /2.3 inch Back side illuminated (BSI) sensor. This is not a very large sensor, at least when compared to DSLRs, but is still impressive among camcorders. The total amount of pixels used in the sensor is 12.76 Mpx. However, only about half of the 12 million pixels are actually utilized for video and photo output. The rest is used for Hybrid image stabilization (IS). Hybrid IS means that the camera is stabilized by a combination of Optical Image Stabilization and In-Body image stabilization (IBIS). 1080p Full HD video can be recorded at up to 50fps, allowing 28 Mb/s in AVCHD format and up to 50 Mb/s in MP4 format. There is also an option to record slow motion video at 100fps. You will be pleased to know the Panasonic HC-V770 has full Wi-Fi connectivity support. 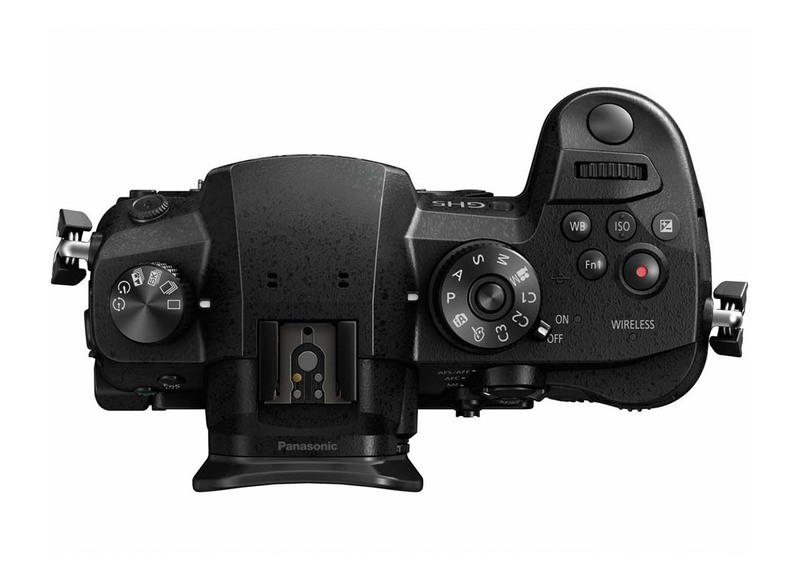 This allows you to connect your camera to your smartphone (iOS or Android) via Panasonic's official app. You can do this manually or simply by an NFC tap. Once connected, on your smartphone you'll get a live video feed from your camera's sensor and the ability to live stream what you are recording to Ustream service. Of course, you can also control the camera remotely and do other things such as Start/Stop recording and adjust different settings. Another cool feature is the new Wireless Twin Camera. This will enable you to record yourself (or something else) with the smartphone, and then have that secondary recording integrated into the main recording screen of your camera. This is know as a picture-in-picture box. The HC-V770 also has many other useful features, so many more that we won't be able to cover all of them in this short review. Still, we should mention its ability to record HDR video. This is done via two simultaneous recordings at two different exposures which are then automatically combined to provide an output image of a very high dynamic range. 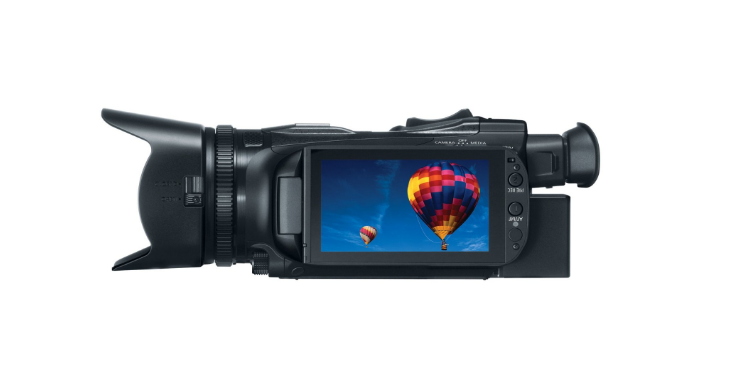 The Sony Handycam NEX-VG30 presents a unique new combination of features in the already rich camcorder market. It is a prosumer video camera with an interchangeable lens, image stabilization and power zoom. NEX-VG30 is considered as part of the consumer camcorder category, but in reality this one belongs with the video cameras. Its large sensor, high quality lens and powerful zoom make it a great choice for professional, cinematic filmmakers. So, why is it still aimed at both amateurs and enthusiasts? Well, because it is designed to be simple and easy to use. It is a stepping stone for any aspiring video maker wanting to capture professional-grade footage without the steep learning curve of full-blown professional video cameras. The body is made of high quality plastic and magnesium alloy. Additionally, the controls, buttons and dials are intuitively designed and user friendly. It comes packed with an all-around 18-200mm E-mount zoom lens, although it is possible to purchase the camera separately. Don't be deceived by the long zoom range and the 'kit' mark on the lens, as this glass is top quality. We've already mentioned that this camcorder features image stabilization, which is a very important feature for any higher end video camera. Not only does the IS work reliably well, it functions beautifully throughout the entire zoom range as well. Excellent image quality is ensured by a very large 16 Mpx APS-C sensor. A sensor of this size also provides maximum flexibility with shallow depth of field, enabling effects such as a focused subject with a blurred out background. Abilities like this are key when creating cinematic, storytelling videos. Video is saved in either MPEG-4 or AVCHD 2.0 File formats. Automatic shutter speeds range from 1/48 - 1/10000 for 24p video and 30 - 1/4000 for stills. Thanks to a fast processor, the continuous AF mode is able to shoot up to 6fps. This is certainly not bad for a video-oriented camera. For moving subjects there is the tracking AF which locks on nicely to your subject. As for the manual focus, assistance is provided via magnified display and peeking sight. Another impressive feature is found in this cameras audio setup - Sony has incorporated Dolby Digital 5.1 Surround Audio into this system. The GH5 is one of those venerable cameras that aims to bring high-quality video recording to the mainstream and do it so while retaining good still capture capabilities you would expect to get out of an enthusiast mirrorless camera. It will also give you the ability to switch lenses and you’ll get a lot to choose from thanks to the flexibility of the micro 4/3 systems and their accompanying mounts. 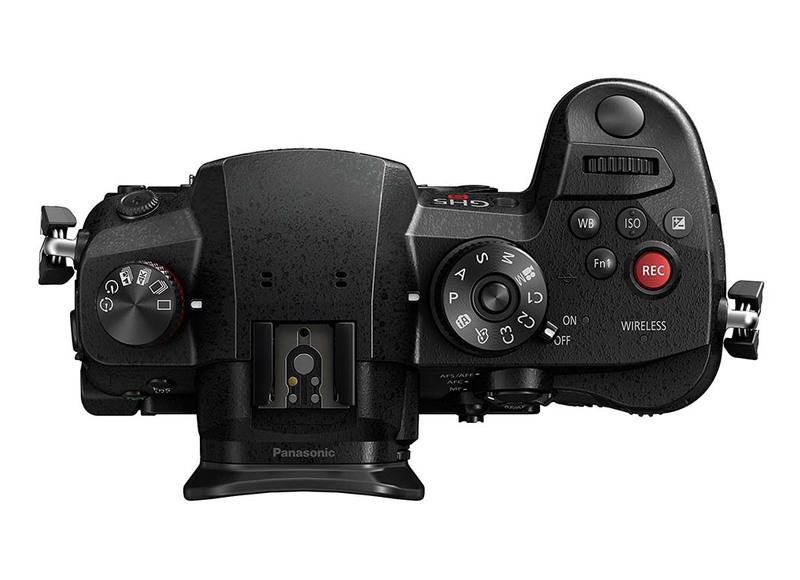 Panasonic has managed to upgrade a lot of things over the GH4 and the first thing that has seen some improvements is the imaging sensor. It has received a bump in resolution (from 16 to 20 megapixels) and also yields better dynamic range and noise performance (especially when it comes to video recording). It also boasts an ISO range of 200-25600, maximum shutter speed of 1/16000 sec thanks to the inclusion of an electronic shutter and a powerful Venus Engine 10 processor. While it is a decently capable stills camera, the GH5 will be a far more impressive choice for those interested in serious video making and the first thing that proves that fast is the addition of very capable 5-axis Sensor-shift image stabilization system that can also work in tandem with your stabilized lenses thanks to the Dual IS 2 technology. This essentially means that you’ll be able to get steady videos on most occasions without having to invest in any special gear, like gimbles or monopods (though being more active while carrying the GH5 will require you to do so, but that could be said for all the cameras out there with built-in image stabilization systems). The body of the GH5 was also made to the very highest standards. It features the obligatory magnesium alloy construction, weather sealing, ergonomic shape, advanced control scheme (including easy to reach dedicated Record button located at the top of the camera) and all the ports you’ll ever need (like the microphone and headphone jacks, USB 3.1 Gen 1 port and the HDMI port that has the ability to output 4:2:2 10-but footage at 30 fps). The camera body also doesn’t disappoint in terms of the TFT LCD screen and the electronic viewfinder (EVF) that can be found on the back; the screen itself is a 3.2-inch touch-enabled fully articulating unit with a resolution of 1,620,000 dots, while the EVF sports a 35mm equivalent magnification of 0.76x and a resolution of 3,680,000 dots. 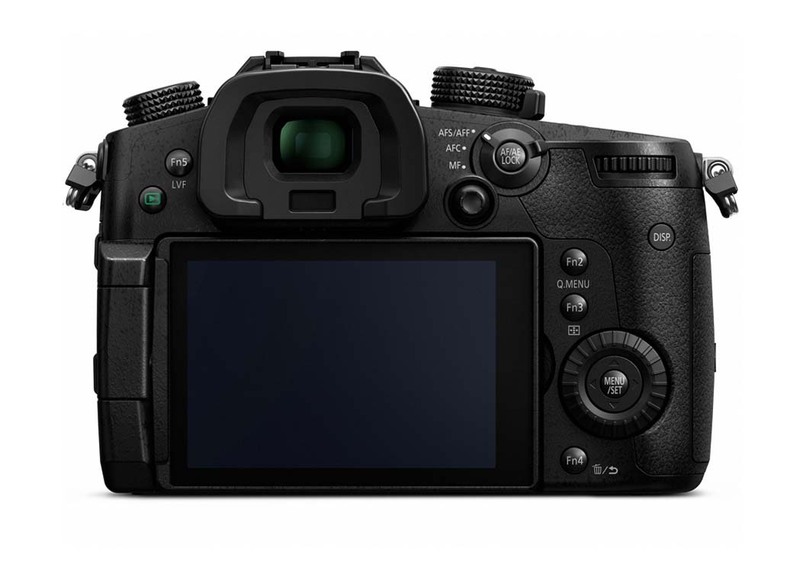 While the GH5 doesn’t feature a built-in flash unit (which was expected considering its video-centric nature) it does come equipped with other useful features such as Wi-Fi ac, Bluetooth 4.2 LE, a 225-point contrast detect AF system (with Panasonic’s trademark Depth From Defocus technology), 12 fps burst rate and the dual SD card slots (that are also compatible with the fast UHS-II standard). If there’s one area in which the GH5 really manages to spread its wings, that has to be the video recording. That’s only partly due its capability to record very good 4K 60fps and 1080p 180p videos and capture as good audio as you want it to thanks to the inclusion of both the headphone and microphone jacks, but also due to its fully articulating touchscreen, 5-axis image stabilization, wide array of different framerate, codec and bit-rate options to choose from, video scopes, Focus peaking, Zebra patterns and the anamorphic shooting. Most importantly, the Panasonic Lumix GH5 also includes a number of different Log profiles that will give you a lot of control over the look of your videos while you’re tackling things like sharpness, contrast, color balance and dynamic range while working on them in post-production. The only things to keep in mind in case of the GH5 and its video recording capabilities is that its battery life isn’t good enough to allow you to shoot at 4K resolution the entire day, so you should always care for a couple of spare battery packs with you if you’re planning to spend some time away from the wall socket. 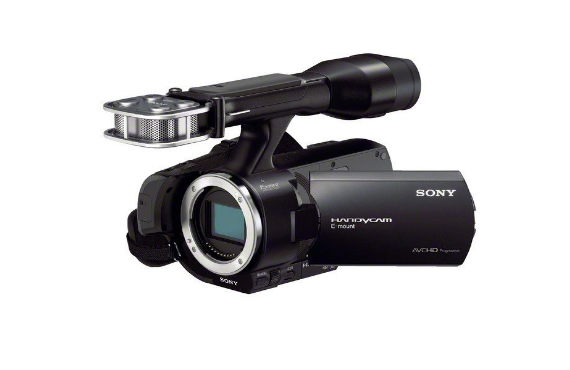 Sony FDR-AX100 4K fits in between what you might call a professional grade video camera and a simple to use camcorder. The body is relatively small (for a video camera) and features a sleek, tube-shaped design. The combination of metal framing and plastic parts where they are appropriate, makes this camera feel solid and sturdy, despite its light weight. Looking at the price, you will notice it is far from cheap, but still far more affordable than some full-blown professional video cameras which offer similar specifications as well as some additional features which you might not find necessary for your particular needs. The FDR-AX100 is mainly geared towards serious consumers and videographers looking to get their first 4K camera, so it is no wonder that its 4K video capability is the main selling point for this camera. You will be able to record in both 4K UHD and 1080p FullHD video at the same time, which is a really nice bonus feature. 4K video is recorded at the standard 30 frames per second (fps). All of this is captured by a very capable 1" Sony EXMOR sensor, which also provides outstanding low-light performance. Other features include a 3.5 inch LCD screen, Neutral Density (ND) filter which limits the impact of sunlight on the lens, enabling the user to shoot with longer shutter speeds during daylight. And of course, there is also the connectivity package with Wi-Fi and NFC. 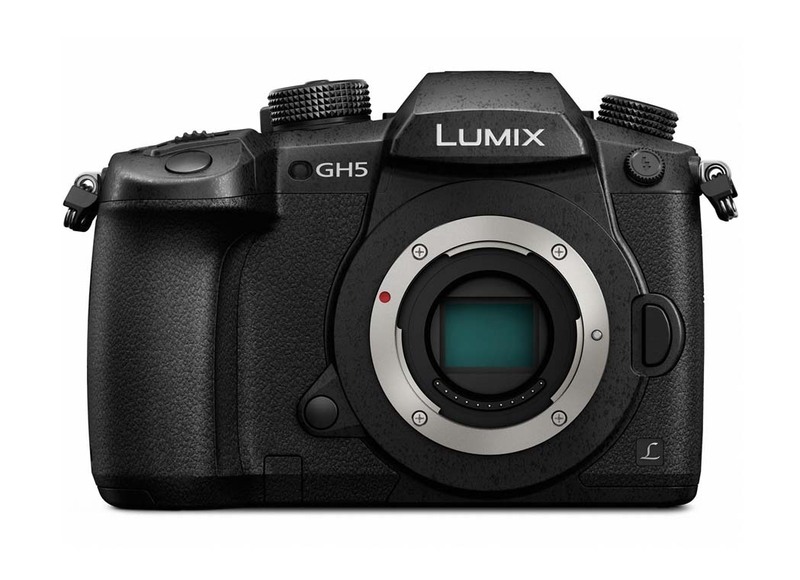 While the Panasonic Lumix GH5 is one of those cameras that try to focus on video recording as much as possible but while retaining very respectable imaging capabilities (for those that are mostly interested in videography but still want to be able to take good quality photos in most situations and conditions), the GH5S is the company’s only mirrorless camera that is aimed specifically at enthusiast videographers that care very little about the stills side of things and want a portable and flexible camera to produce professional videos with. 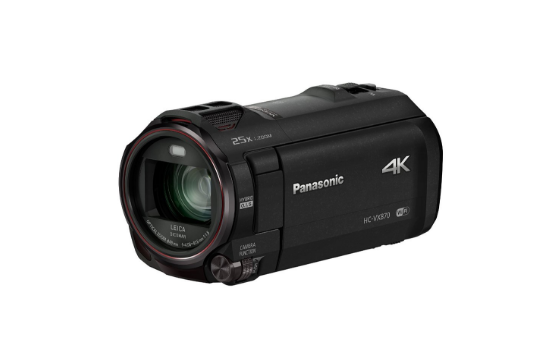 It also borrows a few things from Panasonic’s dedicated camcorders and thus it could easily be considered one of the most feature-packed ILC (Interchangeable Lens) products on the market that will provide its owners with as many video-centric tools as you can cram into a camera body. The first thing that sets the GH5S apart from every other micro 4/3 camera on the market is its sensor. 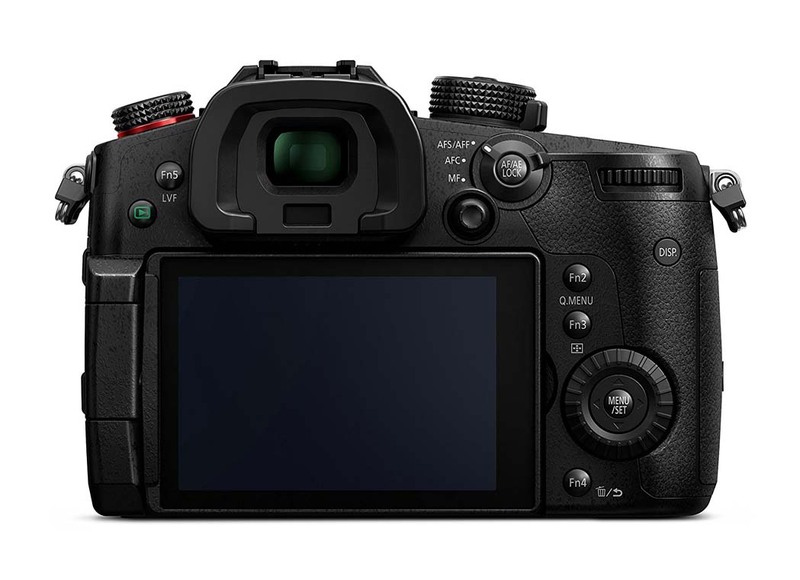 It is a 10.2-megapixel unit that was created especially for this camera and aims to bring better low light performance and dynamic range than what the GH5 could achieve and also introduces things like the new Multi Aspect feature (which will allow you to change your aspect ratio without any loss in resolution) and the Dual-gain design (which essentially gives the camera two native ISO values, one lower and one higher and giving both of them very similar image quality). The said sensor also supports ISO values ranging from 160 to 51200 and shutter speeds as low as 60 sec and as high as 1/16000 (thanks to the inclusion of an electronic shutter). The only thing lacking on the GH5S is the in-body image stabilization, which may bother some videographers that are used to shooting handled videos but won’t be a problem for those that have grown accustomed to using other more effective and robust solutions for stabilizing their footage. You will still be able to use image stabilized lenses for those occasions where there’s only you, your camera and nothing else. The camera body of the GH5S has been built up to the high standards bringing things like magnesium alloy construction, weather sealing, a lot of dedicated manual controls that can also be customized to your liking, a slightly different design from the traditional GH5 that is fully optimized for videographers rather than trying to cater to photographers as well and a body weight and size ratio And that makes the GH5 a camera that is neither too heavy or too light, meaning that it feels very substantial in the hand but will also allow you to use the camera all day long without getting fatigued by its overall weight and dimensions. As its to be expected from a flagship camera, both the included viewfinder and the LCD screen bring no compromise in quality and make this device a pleasure to use no matter the lighting conditions you’re working in. The touchscreen itself sports a resolution of 1,620,000 dots while the EVF has a 35mm equivalent magnification of 0.76x and a resolution of 3,680,000 dots. It’s also important to mention that things like Dual SD card slots, USB 3.1 and HDMI ports, as well as Wi-Fi and Bluetooth 4.2 LE are also included on this camera. Lastly, it is time to see what the Panasonic Lumix GH5S offers in terms of its features directly related to video recording. The most important one has to be its ability to record 4K 60 fps, 4K 30 fps 400 Mbit and 1080p 240 fps footage, which means that you’ll get a lot of flexibility when it comes to finding the right balance between speed and video quality. Considering the fact that an advanced video camera also requires an advanced set of tools, it’s no wonder that the GH5S also includes things like microphone and headphone jacks, Focus peaking, Zebra patterns, anamorphic shooting, Focus Transition Function, Video Scopes, Log and picture profiles and more. 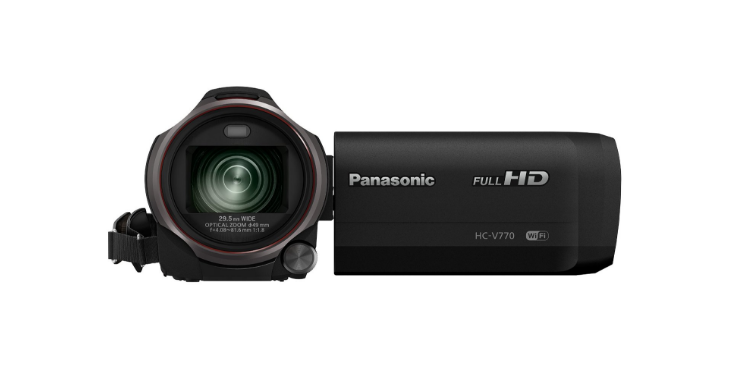 The HC-VX870 is Panasonic's 2nd camcorder in it's 4K line of cameras. It is a very affordable 4K camera which packs all of the important features, lacking only the, newly popular, secondary selfie camera. It is actually the absence of this secondary camera that makes the HC-VX870 so affordable. The sensor is a 18 megapixel (MP) 1 /2.3-inch back-side illuminated (BSI) CMOS. This is not a very large sensor, meaning low-light performance will be somewhat limited, however the smaller sensor also has its advantages; it takes less space thus making the body smaller and also provides more optical zoom. with regards to zoom, you will get 20x optical zoom at 4K resolution and a whooping 40x optical zoom with Full HD (1080p) resolution. The 4K resolution is recorded at 25fps and 1080p at 50fps. The image quality produced by this camera is overall rich and sharp, with relatively accurate white balance and an impressive hybrid image stabilization system. Another notable feature is the integrated WiFi which offers a useful range of connectivity options. 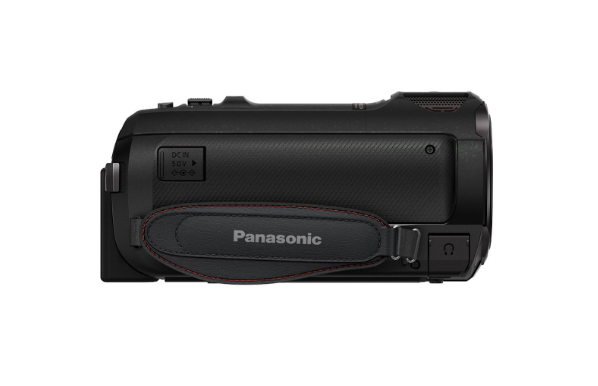 You can connect your Panasonic HC-VX870 video camera with your smartphone via the Panasonic smartphone App (iOS and Android), or to your TV via DLNA. There is also an option to stream your video directly to a USTREAM account for live transmission. It is true that you could get better video quality out of a DSLR with a larger sensor, but than you would have to pay much more too. We think the HC-VX870 presents a great opportunity to get a 4K-capable video camera at a reasonably low price, along with all of the features that appeal to enthusiasts, such as the ability to connect an external microphone as well as headphones. 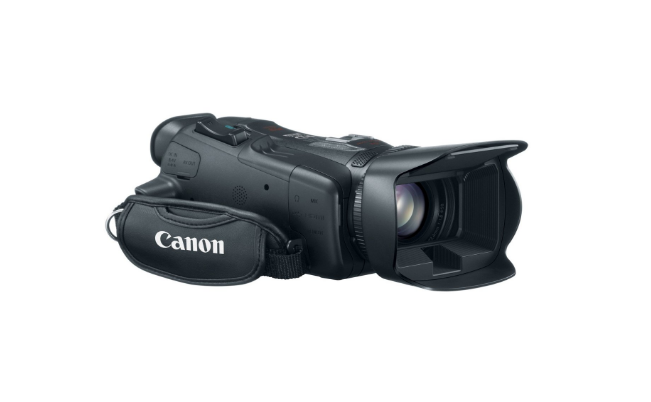 Canon XA30 is a high-end enthusiast-professional camcorder with extensive capabilities. The XA30 was announced together with its sibling, the XA35 by Canon at this year's NAB show in Japan. The two models are very similar, with the main difference being the lack of 4K recording capability in the XA30. The XA30 features a lightweight but impressive design, and just by looking at, it you can see it is meant for serious recording business. If you check the price tag, it will tell you the XA30 is intended for professional video producers, whether it be for recording a documentary or filming an important event. That is not to say the everyday enthusiast cannot use this too. If you are willing to invest the money and are looking for a high quality video camera, there really aren't any reasons why you should not choose Canon's XA30. Canon has extensively used its CMOS sensor for their video cameras, and for good reason, it offered excellent results. However, given the rise of quality among the competition, they had to take it a step further. The sensor is a dubbed Pro CMOS Sensor, pointing at the fact that this product is positioned in the pro-range of video cameras. The new sensor brings considerable improvement in image quality, especially for low light situations. It's sufficient to say the image quality looks and feels superb. The idea is that the user can pay close attention to image and video composition as well as focusing, while not having to worry about tweaking every single setting in order to get the desired quality. While the XA30 cannot record 4K video, it does make up for it by offering you maximum flexibility and quality in all other areas. One of the awesome features of this camera is the 30x optical zoom. This allows you the ability to zoom in 30 times without any loss of quality whatsoever. Furthermore, you will able to choose between slow, normal and fast zoom speeds. Speaking of flexibility, there is also the option to specify a range of video settings such as recording modes, different codecs depending on whether you want small-size web-ready video or even professional, ultra high quality footage. The former will use the MP4 codec while the latter utilizes the AVCHD codec. There is also an option to choose between different bitrates and framerates. Other notable features include creating on-board slow motion videos and wireless WiFi connectivity for remote control. What are some advantages to using a dedicated video camera over a smartphone camera? With 4K video-capable smartphones in almost everyone’s pocket, one begs the question what are the advantages of buying a professional video camera, a camcorder or a mirrorless video camera. First off, despite being able to record Full HD or even 4K videos, smartphones still use extremely small sensor compared to a full-blown video camera. The larger sensor in a video camera will deliver a much higher level of image quality and detail, regardless of resolution. 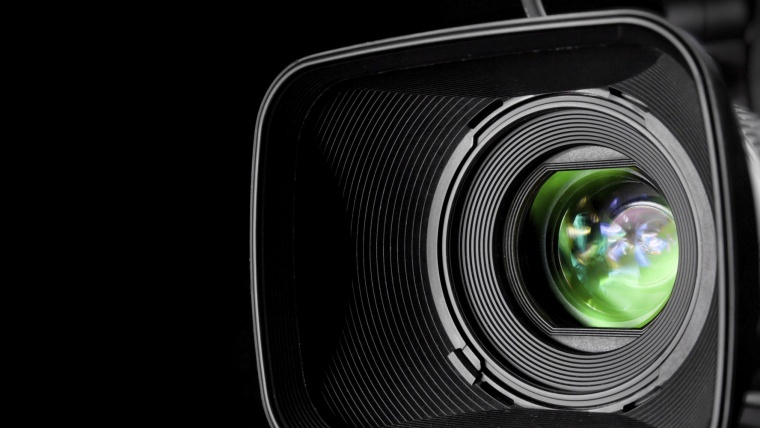 Zoom is another reason to consider a more serious video recording device. Video cameras usually come with lens which offer optical, lossless zoom. This enables one to get much closer to the action without having to physically move. Smartphones simply don’t have enough room in them to incorporate optical zoom. Dedicated video cameras offer a lot more flexibility with external accessories. You can attach an external lighting source such as a flash or a lamp. You can also use an external microphone or a headset. 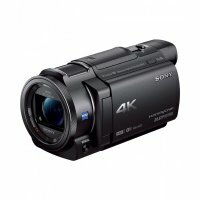 I am looking for a small, affordable camcorder which is easy to use. What is my best option? 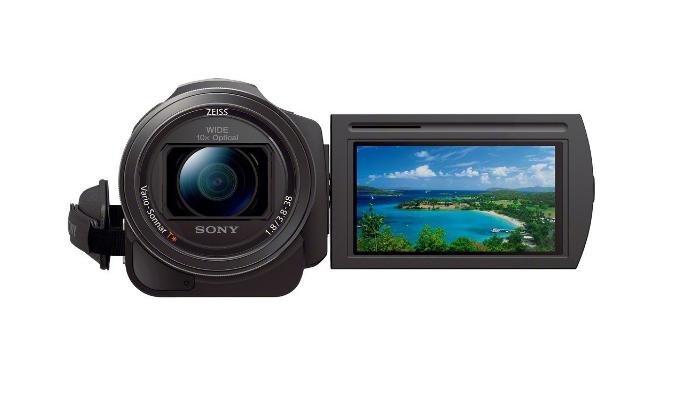 You should consider the Sony FDR AX33. It is an affordable camcorder with good image quality, excellent optical image stabilization system and a full range of connectivity options, including Wi-Fi and NFC. It has a Point-and-Shoot-sized sensor, so you shouldn’t expect professional grade video quality, but it will still do a lot better job at video recording than your smartphone. 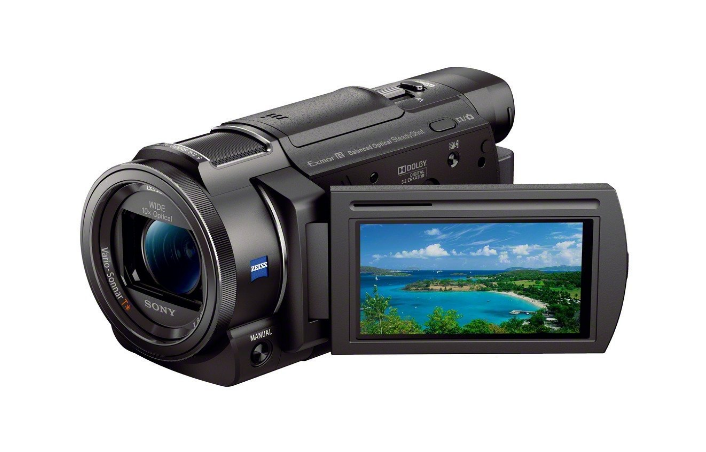 This camcorder is also rather compact for its class, so we would consider than as another advantage. I would like a modern camera that can shoot stills as well as videos. What is the best option? The LUMIX DMC-GH4 is a modern Hybrid camera, using mirrorless sensor technology and DSLR-style body. 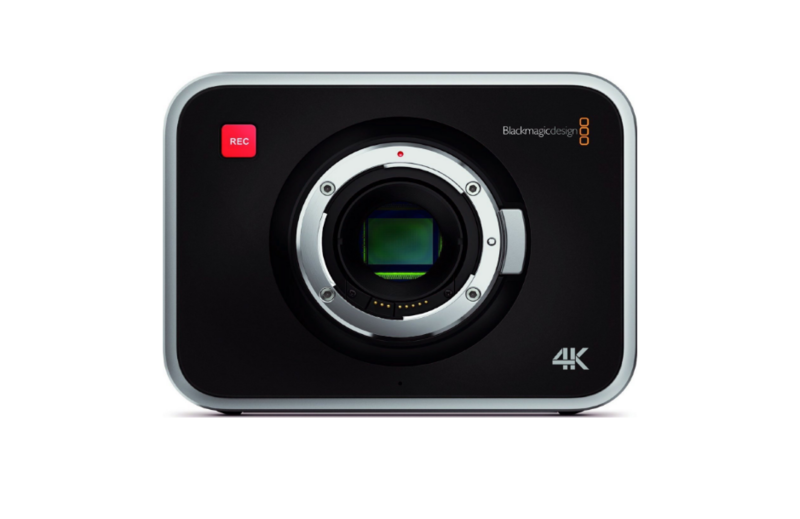 Featuring a Micro Four-Thirds sensor, a 49-point AF system and 4K video at whopping 200mbps bitrate, this camera is sure to satisfy all video enthusiasts, and even professionals who are not working in demanding conditions where a very large sensor is needed. This camera highly versatile thanks to it’s ability to use interchangeable lens as well as a wide range of video recording formats. The small DSLR form factor might appeal those who want a more traditional looking camera rather than a full blown camcorder. What is the difference between digital and optical zoom? You might have noticed these terms thrown around a lot when reviewing buying options for a camcorder. It is indeed very important to understand the difference between the two. The main difference is in loss of quality. To put it quite simply, optical zoom is lossless, while digital is not. Cameras utilize digital zoom by literally cropping into the image and artificially enlarging pixels in order to “get closer”. Optical zoom on the other hand utilizes the glass in the lens, moving it in and out to get you closer, without cropping. Make sure carefully check how much optical and digital zoom each camera has. What is the difference between Electronic and Optical Image Stabilization? Optical Image Stabilization (OIS) psychically shifts the lens as you record to compensate for hand movement and hand shake. Electronic Image Stabilization (EIS) uses digital processing in order to reduce camera shake and vibrations. While there are cameras that utilize effective Electronic IS, generally speaking Optical IS is far more effective and reliable. I need a professional video camera but I don’t need 4K resolution. What are my options? 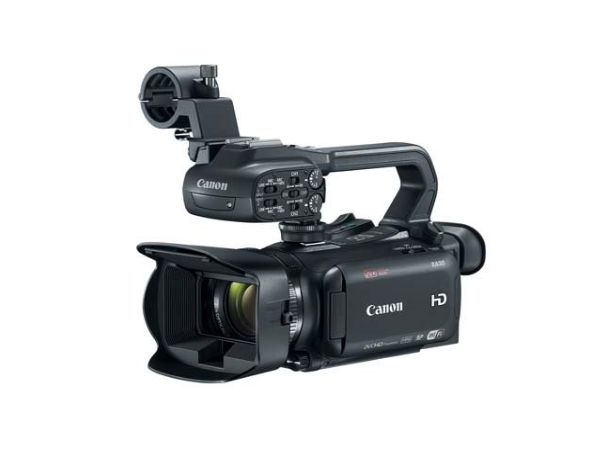 Check out the Canon XA30 – a modern high quality camcorder focused on image quality but without 4K video. It has a CMOS Pro sensor capable of recording Full HD 1080p video, f/1.8 – f/2.8 aperture size lens, 30x optical zoom and 400x digital zoom. Highly flexible with external accessories, it delivers superb video quality, especially in low light. – Video cameras vary in design as much as any camera. We have traditional video camera designs which are lengthy, require two-hand or shoulder carry. They usually have a camera holder on top which also serves as a mount point for a light lamp or similar accessory. Other video cameras have a DSLR-like design or even a box design. There is a lot to choose from and we have prepared an extensive list of cameras with varying design styles for you to choose from. Given that we are reviewing video cameras and camcorders in 2018., we have tried to focus on lightweight designs without sacrificing specifications or functionality. Price/Product rate – A value of a camera is determined by a combination of two factors; quality and price. By quality we mean features, specs, build quality along with everything else. Just because something is expensive and you have an unlimited budget doesn’t mean it’s a smart buy. The same goes for cheap products. We’ve focused on featuring cameras that give a lot for a smaller price. Weight – While video cameras have traditionally been extremely bulky and weighty, this isn’t necessarily the case in 2018. Of course, some level of mobility needs to sacrificed for certain advanced features, but generally video cameras have been shrinking in size along with everything else in the consumer camera market. Waterproof capabilities – Camcorders and other cameras which focus on video recording are rarely waterproof. It just isn’t practical to combine a set of features required for a capable video camera with waterproof features. Grip – A well designed grip is always important, and especially so when it comes to video cameras. Given the fact that video cameras are generally heavier than say, point-and-shoot cameras or an average DSLR, and that they often require continuous prolonged usage, it is important to consider how good is the grip in a given camera. Image Quality – Image quality refers to video quality as well in this context, it is one of the same. It is an ever-important factor to consider depending on the intended purpose of a video camera. All cameras listed in our review will deliver good image quality in daylight, while some cameras might struggle in low light. Adaptability – Some video cameras and camcorders are designed to be flexible out-of-the-box, meaning they have a set features for handling a wide variety of situations. Other cameras are focused on a specific type of videography. It is important to understand how flexibly and adaptable you need your camera to be. Accessories and computability play a big role in this, so it is important to examine these features as well. Ease of Use –  Depending on the class of the camera, it can be either extremely simple to use or somewhat complex. We’ve kept this in mind and included cameras suitable both for casual video recording as well as professional. Availability – How is it is to acquire a camera you’re looking for plays an important role in choosing the best camera for you. 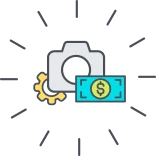 We make an effort to recommend cameras that are still supported and distributed by the vendor. Can you be so kind- as to list the camcorder that has the largest CMOS sensor on the market? I think my 10-20 year old Canon HV20/HV30/HV40 has a larger CMOS sensor size than all your 4k models you covered- am I right? I am after a camcorder that records in super low light conditions- a huge – maximum size CMOS sensor above 1.0 / with lux much bigger- it just has to be out there- who has it/makes it?